The FIA Court of Appeal’s decision to retrospectively exclude Andy Priaulx’s BMW from the first WTCC race at Okayama, Japan, not only deprived Priaulx of 2nd place in the race and an outside chance of securing his fourth WTCC title, but it has also cost him a much coveted BRDC Gold Star. The points scored by Priaulx at Okayama on 31 October (the last date for drivers to accumulate points towards their BRDC standings) saw him overhaul Mark Webber at the top of the BRDC Gold Star leader board. However, the FIA’s post-race decision means that those points have since been rescinded. The beneficiary of the FIA’s ruling is Red Bull Formula One driver Mark Webber, who feared that, following his retirement from the Korean Grand Prix, he had lost out to Andy in the season-long contest for the Gold Star. While the stewards at Okayama had ruled that the sequential gearbox used in the BMW 320si of Priaulx was within the regulations, the FIA’s International Court of Appeal accepted the submissions, made on behalf of Chevrolet, that this was not the case. Mark Webber is the third Australian to win the prestigious BRDC Gold Star, following Sir Jack Brabham OBE (1959, 1960, 1966) and Alan Jones (1979, 1980, 1981). 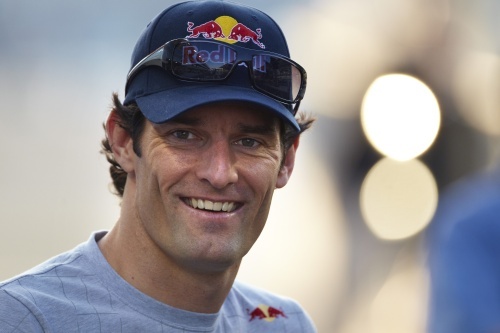 Webber scored Gold Star points in 15 races, including last year’s Abu Dhabi Grand Prix on 01 November 2009. Overall, he scored 253 points to Andy Priaulx’s reduced total of 239 points.